Inclusive education is a major focus of the 2009 RTE. One of the criticisms of the RTE has in fact been the way it uses ‘disadvantaged children’ as an umbrella term for all sorts of marginalized children or children with special needs – ranging from the socio-economically under-privileged to those with physical or learning disabilities. Indeed, inclusion is a broad term and in most socially stratified cultures of the world, it is an ideal that needs to be worked towards. Inclusion is in fact a political issue and a concern not only in India, but in developed countries as well. It is a carrot that is dangled to garner votes, as an article in The Independent says, “All parties make a commitment to improving services to such children in their general election manifestos…1” In fact, even the inclusion of children with disabilities in the RTE happened after a lot of agitation by disability activists2. Reportedly, Kapil Sibal was keen on setting up alternative institutions catering to children with special needs, as opposed to the universal principle of inclusion being followed the world over. It was only after demonstrations and efforts of the media that children with physical disabilities were included, albeit with reservations from the HRD minister; which is why, it is conjectured that the categories of autism or cerebral palsy and other groups haven’t been explicitly mentioned in the RTE document. Disability Rights come within the larger ambit of Human Rights and human dignity. Although full inclusion is still an issue that educationists and policy-makers all over the world are grappling with, it is certainly a question that people need to start engaging with. An attempt on these lines was made by Oakridge International School, Gachibowli when they organized “A Week on Special Learning Needs’ from 14th-18th November 2011 – an annual event for promoting awareness about learning needs and learning disorders, which was open to teachers, parents, educationists, school administrators and psychologists. A seminar on critical issues on inclusive education in India was held on the 15th which had lectures by eminent practitioners in the field of inclusive education like Usha Naik, Dr. Shakila Naidu and Farida Raj. 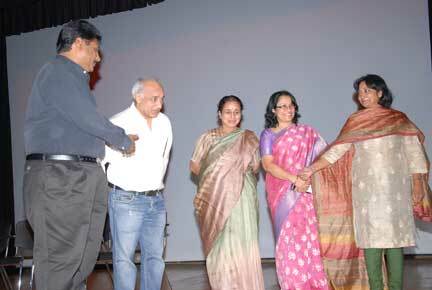 But before the lectures, was a screening of a film, directed by the chief guest of the day – film director Mani Shankar, called Buddies. A film that depicts the difficulties faced by the parents of a special child and his subsequent enrolment in a school where he befriends a boy who helps him with studies. The boy’s mother is initially apprehensive of his ‘new friend’, but the father believes the school is doing the right thing. The story goes on to show how not only the special child benefits from the friendship, but how the other boy becomes more independent and caring as a person. Dr. Usha Naik spoke of the research work conducted by her and Dr. Shakila Naidu in Andhra Pradesh, which highlighted the critical issues involved in inclusive education. Dr. Fareeda Raj, a special educator spoke on the current status of inclusive education in India, while Dr. Shakila Naidu gave the audience an overview on the issue. An open forum was organized for parents, which explained specific learning disorders, causes for academic underachievement, special learning and memory techniques, phonic remediation and identification of learning disorders. As Simran Wasu points out, scope for learning exists for both parties involved. Schools that open their doors to children with special needs have the potential of being spaces where more sensitive, feeling, tolerant and adjusting human beings are nurtured. The skill or art of slowing down, of letting go – of being competitive without being cut-throat are values and virtues which can flourish in an inclusive environment. 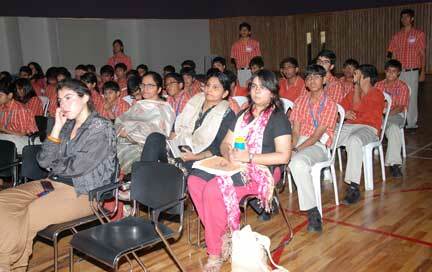 Equally important is to get the parents involved and also to educate them. Simran Wasu also pointed out that one of the things that struck him the most was the fascinated look of the parents when they were shown some simple methods of teaching multiplication tables to SEN children (Special Needs children) in the Remedial Instruction Techniques session. Such an effort by Oakridge is to be applauded because such seminars and events act as reminders for teachers and students alike of the need to remain aware of differences and celebrate differences. Perhaps Aristotle’s dictum can also be invoked in this context: To treat unequals equally is the greatest inequality! To include special children in regular classrooms and then to marginalize them by not catering to their learning needs by adapting learning methods and pace would indeed be a grave problem. Oakridge can in fact boast of a separate Special Instruction Cell that helps children with learning issues. Not all schools may be able to – however, the exposure to various techniques and a greater understanding of the students’ needs would help teachers be more sensitive to such children. The author is a student of Education (Elementary) at TISS, Mumbai. She also works as a freelance communication trainer and editor. She can be reached at simranluthra@gmail.com.